Wind forces are an important factor for ship manoeuvrability in narrow sea canals. The aim of this project is assessing the possibility of CFD to provide predictions of the wind environmental conditions in narrow sea canals surrounded by complex topography. 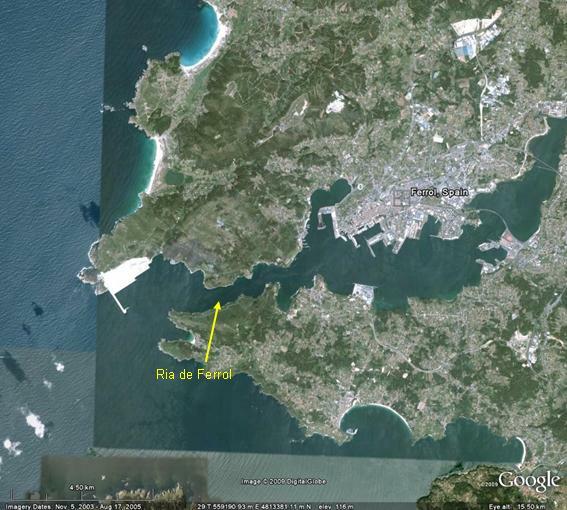 As a case study, Ria de Ferrol, a narrow sea canal in Galicia, Spain, is considered. Large LNG vessels such as the Nakilat Q-Flex LNG Vessel need to pass through this canal, and therefore knowledge of the wind conditions is important. The CFD results are compared with full-scale measurements. A few results from the aerodynamic analysis are shown below. More results, including the validation of the CFD simulation with on-site wind speed measurements will be added later. 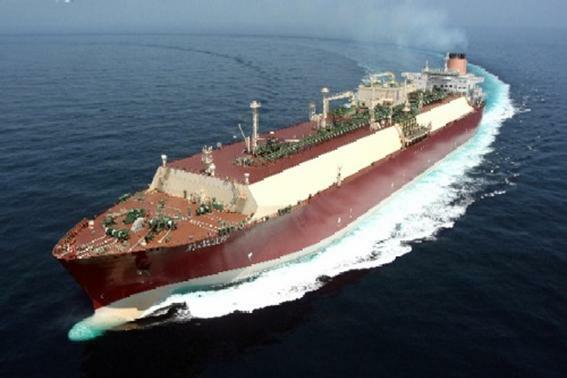 Nakilat Q-Flex LNG Vessel, with a carrying capacity of up to approximately 217,330m3 and a length of 315 meters. 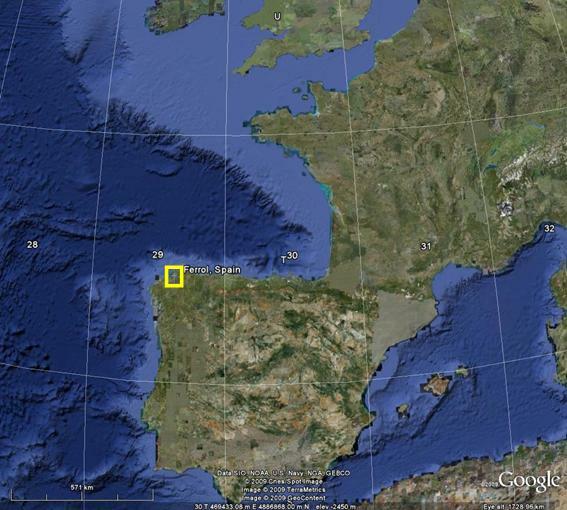 Location of Ria de Ferrol, Galicia, Spain. UTM 29 T 565892 E, 4816719 N.
Ria de Ferrol and surrounding terrain. Special attention in CFD modelling was given to the heterogeneous character of the surrounding terrain and the resulting development of internal boundary layers. Left: Ria de Ferrol: view from west. Right: CFD simulation result: contours of wind speed in a horizontal plane at 10 m height above mean sea level. An LNG vessel is included in the model. Left: Ria de Ferrol: view from east. Right: CFD simulation result: contours of wind speed in a horizontal plane at 10 m height above mean sea level. An LNG vessel is included in the model. Left: Ria de Ferrol: view from southeast. Right: CFD simulation result: contours of wind speed in a horizontal plane at 10 m height above mean sea level. An LNG vessel is included in the model.